Breakthroughs and the Dielectric Strength of Transformer Oil - ! Equipment for Transformer Oil Reclamation. GlobeCore. Dielectric strength is an engineering term that describes the maximum voltage that transformer insulation oil can withstand without damage or interference. Dielectric strength is the main characteristic of liquid insulating material and is used as one of the criteria for testing of new oil reliability. Reduced operational capability of transformer oil is a major cause of accidents and failures that cause damage to multimillion-dollar equipment, and many injuries, often fatal. Establish the parameters of the dielectric strength of any kind of oil is an important part of maintenance of any power equipment. These are calculated by exposure to high-voltage in a specially equipped medium which can be used to measure the potential breakdown voltage. The internationally recognized term of the dielectric strength test is ASTM D-877. It is quite simple to perform, so its results are very easy to use as a reference value in the comparison of data from different trials. The voltage used to check the dielectric strength of the transformer oil typically ranges from 5,000 to 400,000 volts (5-400 kV). A small oil sample is taken for the test in a laboratory. The sample is placed in a clean container for the test. At the bottom of the vessel are two flat electrodes placed at a distance of 2.5 mm (sometimes 4 mm, for testing of oil in certain types of transformers) from each other. After that, the voltage between the electrodes is gradually raised. Voltage growth rate is controlled and a spark between the electrodes is recorded. This is the oil’s breakthrough voltage. Measurements are performed 3 to 6 times by using one oil sample, and the result is taken as the average of these readings, excluding the very first. Testing of dielectric strength of the transformer oil is most important, since this characteristic determines the state of liquid insulation. 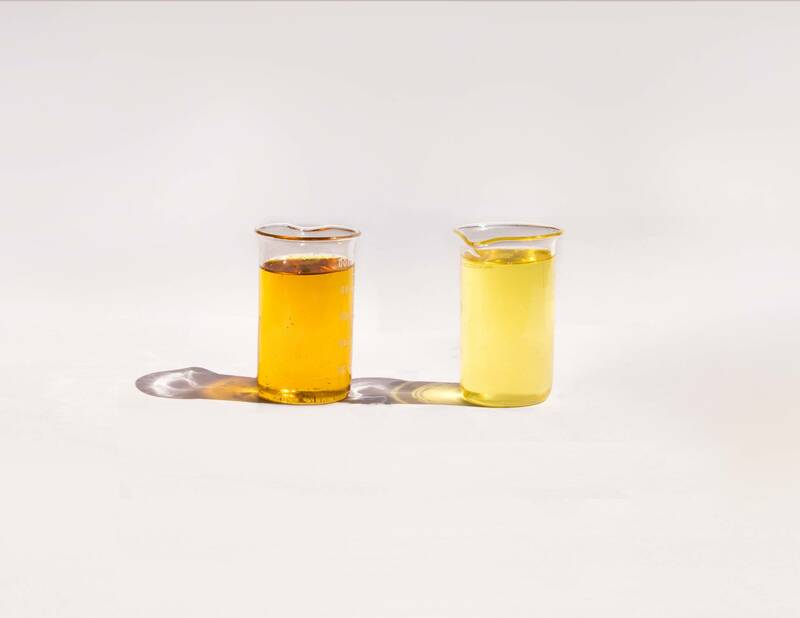 New, clean transformer oil yield higher results of such tests than previously used, with moisture and solid impurities. The minimal breakdown voltage of transformer oil for which the use of the oil in the transformer is considered safe is 30 kV. Special testing devices are available in the market for the purpose of measuring the dielectric strength of oil samples. Testing of insulating oil is especially important due to the possibility of reducing the dielectric strength of the working fluid under the influence of such factors as moisture, air and other contaminants. Moisture is the main problem of transformer oil. A small amount released into the liquid insulation can cause serious problems with power equipment. In this regard, it is necessary to perform regular checks to determine dielectric strength of switchgear and transformer oils.